Here's where to watch every episode of Here Come the Brides season 1. Mouseover or tap an episode to see where to stream it. Click or tap the play icon to stream it on the best available service. 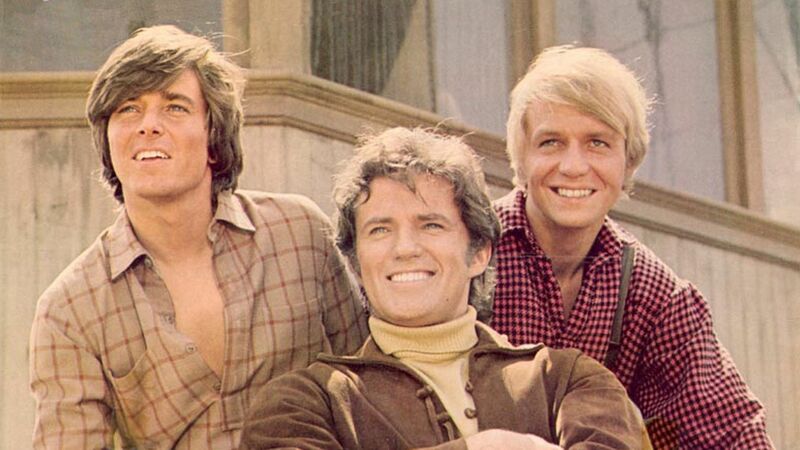 The Pilot Sep 25, 1968 The Bolt brothers (Jason, Joshua and Jeremy) bet their mountain that they can bring one hundred marriageable women back to Seattle and that those women will remain in Seattle for a year. In exchange, Aaron Stempel funds their expenses.The Bolt brothers arrive in New Bedford, Massachusetts--a town that has a shortage of men thanks to the Civil War (and probably the whaling industry). After a persuasive speech by Jason, the women enlist for the trip. Jason Bolt finds an old mule boat --er, ship-- and arranges passage on it for the women, his brothers and himself with Captain Roland Francis Clancey.They arrive back in Seattle and have a roaring celebration. The Log Jam Jan 8, 1969 Jeremy proposes to Candy and Candy accepts. Everyone is thrilled for them except another logger named Lew. Lew thinks all the girls will want to get married now that Candy and Jeremy have gotten engaged. He raises doubts in Jeremy's mind and Jeremy and Candy call off their engagement. Candy and the other brides tell Jason somebody has to get married to break the log jam they've been experiencing. Jason decides that Lew is going to break the log jam. He pretends to be in love with Lew's girl Abigail and makes Lew jealous enough to marry her. Everything ends well with Candy and Jeremy deciding that they need to get to know each other better. A Dream That Glitters Feb 26, 1969 Candy Pruitt's grandfather Benjamin Pruitt arrives in Seattle to visit Candy but also to prospect for gold. Jeremy is very anxious about meeting her grandfather as he has never met any of Candy's relatives. He and Jeremy get along fine but he confides to him and Candy that he has always dreamed of striking it big prospecting for gold and he feels Seattle may be the place. Jeremy tells him that others have searched for gold unsuccessfully but this doesn't sway Benjamin in the least. He proceeds to try his luck and in the process the mine shaft caves in on him. The Bolt brothers rescue him but he no longer feels like living as his dream of finding gold hasn't been fulfilled. Candy believes that if her grandfather finds even a small nugget of gold this will give him the will to live again. She convinces Jeremy to salt the mine with gold from her grandmother's locket. Once the town finds out gold has been discovered they all buy mining equipment and fights break out over different claims. Marriage Chinese Style Apr 9, 1969 Marriage Chinese Style is a 1969 adventure, western and comedy television episode written by Skip Webster and directed by Richard Kinon.